We knew it would come down to this in the end: All you need is love. Exactly how that would manifest itself in the fourth season finale “We Are The Flash” is something I never would have been able to predict, and I’m not certain it made any sense at all. But it was fast-paced, exciting, suspenseful, and full-on comic book-ish in a way that so much of the dreary tale of Clifford DeVoe failed to be for most of the season that preceded it. Payoffs were delivered and emotional buttons were pushed. 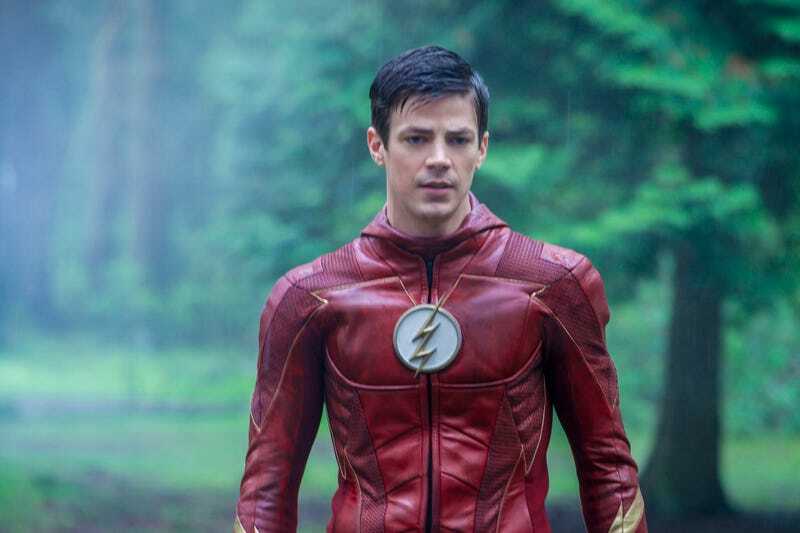 There’s even a cliffhanger to keep us wondering for the next four months or so, should we chose to devote any of that time to thinking about The Flash. Not thinking: it’s the key to DeVoe’s defeat and also the key to enjoying this episode to the fullest. When we left off last week, there was nothing that could stop the Enlightenment, as all of DeVoe’s satellites (plus a replacement courtesy of STAR Labs) had been launched. As the finale begins, Central City loses all its power, which is being diverted to building up the Enlightenment array to 100 percent, at which point everyone’s brain gets zapped like Harry’s. At STAR Labs, Marlize comes up with a plan to defeat her husband that somehow involves amplifying Cecile’s psychic abilities in order to project Barry’s mind into the Thinker’s so he can track down the good part of DeVoe still dwelling there. Whatever! It works inasmuch as Barry finds himself inside DeVoe’s memories, starting at the point where bus 405 was hit by the dark matter. The good part of DeVoe proves elusive, however; he’s not at the house he shared with Marlize, nor at the park where they had their picnic and first dance. Someone else is there, however: Ralph Dibney, looking like the schlubby private eye Ralph we met at the beginning of the season. It seems DeVoe has had to keep him alive because he’s still using Ralph’s body. These CW shows have played fast and loose with character deaths so frequently that it’s hard to be shocked to find Ralph still existing in some form, but I have to say, in this case I was glad of it. His original death felt so cheap and manipulative that I’d been hoping it was a misdirect all along. When they find the good Prof. DeVoe dead in his old classroom, it appears all hope is lost. But Barry has an epiphany: Ralph is actually the good part that remains inside him, and if they can get back out into the real world, he can take control of his body again. Ralph reverts to his Elongated Man form for a pretty fun battle with an army of DeVoes in which our heroes utilize the power of thinking about shrimp. (Or Ralph does, anyway.) While all this is going on, the rest of Team Flash is hopping between pocket dimensions to stay a step ahead of real-world DeVoe, something impossible to do as the show has already established multiple times. Oh, and Cecile is going into labor at the worst possible moment, which is a storyline as old as television itself. I guess when the rest of the episode is a whirlwind of craziness, something has to anchor it in a comfortable reality. It all wraps up suspiciously early, as DeVoe’s inability to anticipate Team Flash’s love for Ralph is his undoing. But wait, he did anticipate all of this and now he’s a super-powerful hologram! For about five seconds until Marlize pulls out his power source. Which activates the dead man’s switch that sends the satellite plummeting toward Central City! Thanks to some clutch teamwork from Team Flash (and a mystery speedster who helps Barry punch the satellite to safety), order is restored. Oh, except for the baby, which Caitlin has to deliver. For once, The Flash doesn’t plunge us into darkness as the season draws to a close. The big character death has been undone. The baby is a healthy girl named Jenna. Harry is restored, sort of: he didn’t get the Scarecrow’s brain but he did get the Tin Man’s heart. And back to Kansas he goes (or Earth-2, whatever). There will always be another Harrison Wells when the show needs one, but I hope it’s not anyone from the Council of Wells or the misfit league of Harrisons. And hey, Wally is back from the Legends of Tomorrow just long enough to serve some champagne. It’s a happy ending for our crew, and even the kicker that sets up next season is played as a lighthearted tease rather than a harbinger of doom. None of this can make up for the long stretches of mediocrity this year, but at least it doesn’t leave me with a bad taste in my mouth. So about that kicker: those of you who had Iris and Barry’s future daughter Nora in the “mystery speedster” pool get a gold star. It sure sounds like messing around with time is going to be back in play next season. “There will be no defeating the Big Bad this year” is a little too self-aware, even for the mighty Thinker. 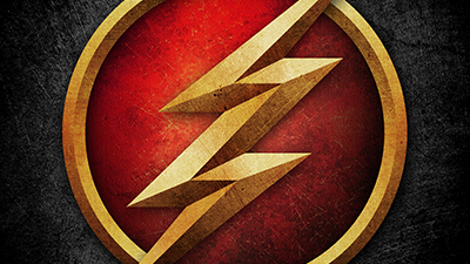 Speaking of Big Bads, though: I’ve been saying this for three years now, but it really is time for The Flash to start dividing its seasons into smaller arcs. Even with the more-or-less standalone hours sprinkled in, one villain can’t sustain a 23-episode season. That’s never been more painfully obvious than now. Maybe two 10-episode arcs broken up with a few standalones? Just one man’s opinion. Having said that, thanks for sticking with us and keeping the comments lively. Hope to see you back in the fall.